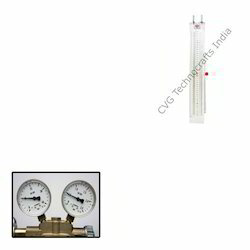 Pioneers in the industry, we offer u tube manometer for pressure measurement from India. We are one of the prominent manufacturers and suppliers of U Tube Manometer for Pressure Measurement. The offered manometer is manufactured by industry experts using top-notch quality components in conformity with international standards. This product offers highly effective & precise measurement of vacuum, differential pressure and pressure.Our provided manometer is used for accurate measurement of vacuum, pressure, differential pressure and flow measurement in labs and plants.